The students were here for three days and carried out activities in teams of five related to Sustainable shelters. The central part of the course was to design and build a sustainable shelter using only basic materials that the whole team could comfortably use. The students also learned about other aspects across engineering, including sourcing clean water and generating energy in a renewable fashion. One team even used some spare materials to build their own table to make their tent more congenial and homely. 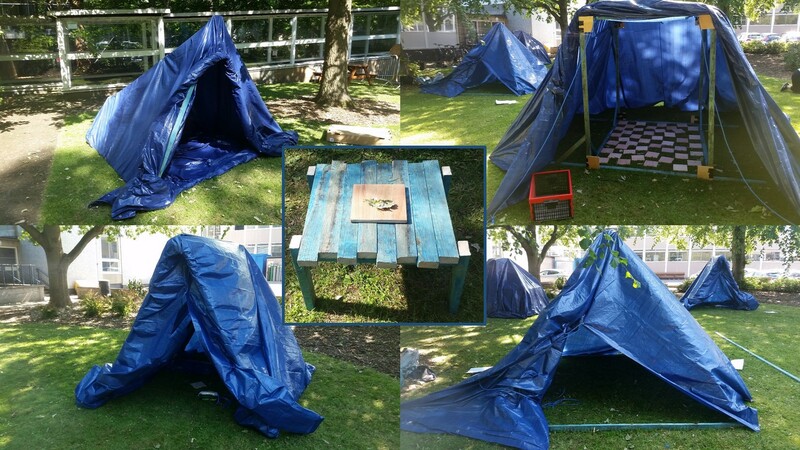 In the picture you can see some of the tent designs and the wooden table!